ET Magazine takes a look at the size of global trade and at regional trade agreements (RTAs), which include free trade agreements and customs unions, across the world. Nafta, which accounted for nearly 14% of global manufacturing exports in 2017, turned 25 on January 1. One of US President Donald Trump’s most controversial policies has been to reevaluate trade deals with other countries. The US’ see-sawing trade dispute with China is a case in point. Moreover, Trump has called the North American Free Trade Agreement (Nafta) — between the US, Canada and Mexico — the “worst” trade deal in history, and has threatened to pull out of it. Nafta, which accounted for nearly 14% of global manufacturing exports in 2017, turned 25 on January 1. ET Magazine takes a look at the size of global trade and at regional trade agreements (RTAs), which include free trade agreements and customs unions, across the world. 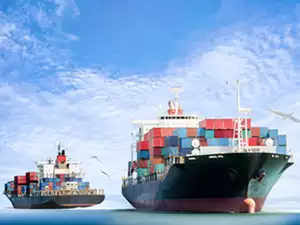 Difference between FTA and preferential trade arrangement (PTA): FTA is broader in scope and covers more products and services, while FTA has a “negative list” of products on which duty is not eliminated or reduced, PTA has a “positive list” of products on which duty is reduced.